John James Craik Henderson held the Chair of Mercantile Law from 1930 until 1940. 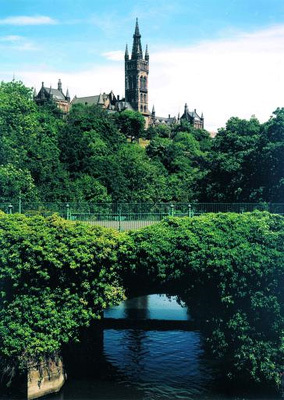 Henderson was educated at George Watson's College followed by the University of Glasgow. He graduated BL in 1914. He then served in the Royal Scots during the First World War. On his return, he embarked on a career in law and steadily gained a reputation in the legal profession. Henderson held the Chair of Mercantile Law at the University for ten years, however, his main interests lay in the practice of law. He was senior partner in Miller Thompson Henderson and Co., Solicitors for many years. He also served as director and chairman of several companies such as Law Union and Rock, Howdens and Solar Industries. He was chairman of the Cargill Trust. Henderson became president of the Scottish Unionist Association and was MP for North-East Leeds for five years. He was chairman of a group which considered the British parliamentary system and produced Parliament, a Survey .